It’s a sweet summertime dilemma: You’ve been tasked to make dessert for the next potluck barbecue, but you don’t want to bring the same-old. Why not try something new and refreshing that kids and adults will like? Cue the slushy. Slushies date back to the 1950s when a soda fountain broke down in a popular Kansas ice cream shop. The shop owner was forced to put his sodas in the freezer to stay cool, and the icy beverages became what we know now as slushies. For a refreshing twist on this oldie-but-goodie, try this summery version made with our Watermelon Mint Lemonade, a new drink made with Chick-fil-A’s Fresh-Squeezed Lemonade (or Diet Lemonade) and mixed with watermelon and mint flavors. A twist of lime and fresh watermelon cubes make this treat something your barbecue buddies will never forget. You’ll need a blender, a 9 x 13-inch pan, a metal spoon or spatula, and an ice cream sundae cup. Set aside. 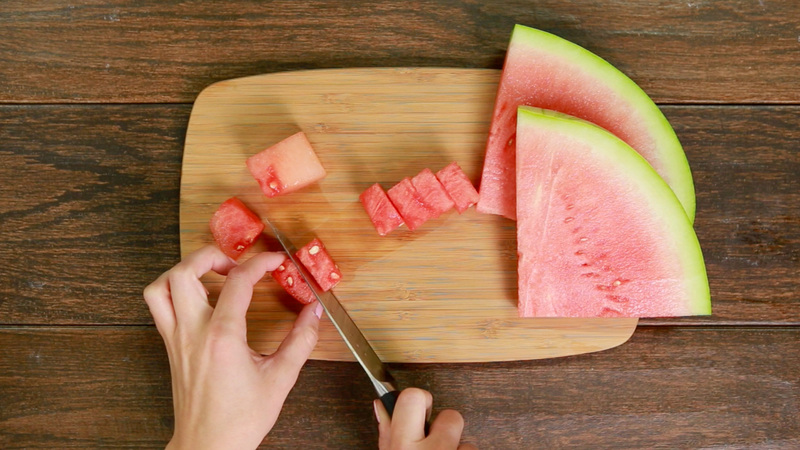 Cut the seedless watermelon into cubes and slice the lime in half. 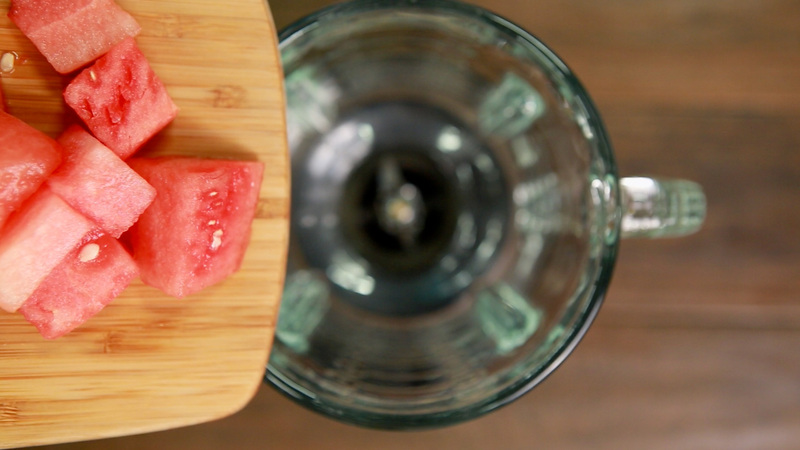 Toss watermelon cubes, agave and Watermelon Mint Lemonade into a blender. Squeeze both halves of the lime into the blender and blend until pureed. If necessary, divide the ingredients into 2 batches to blend it all. Pour the mixture into a 9 x 13-inch pan and place in freezer. 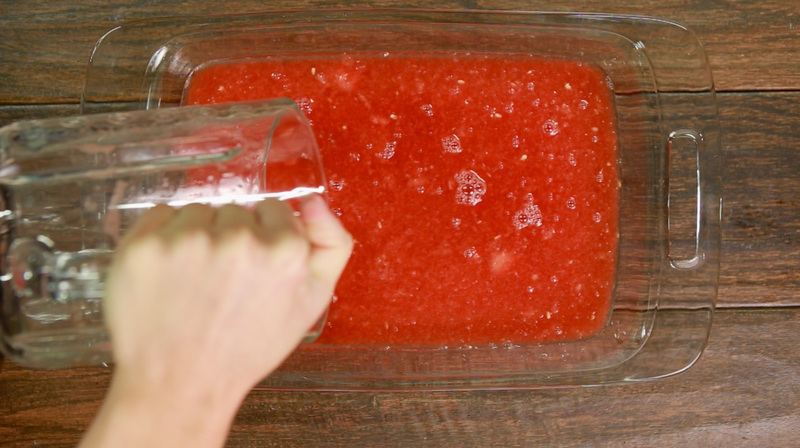 After 1 – 2 hours in the freezer, pull out the tray and use a spoon or metal spatula to start scraping the partially frozen slush. Contents should be a fluffy, icy consistency. 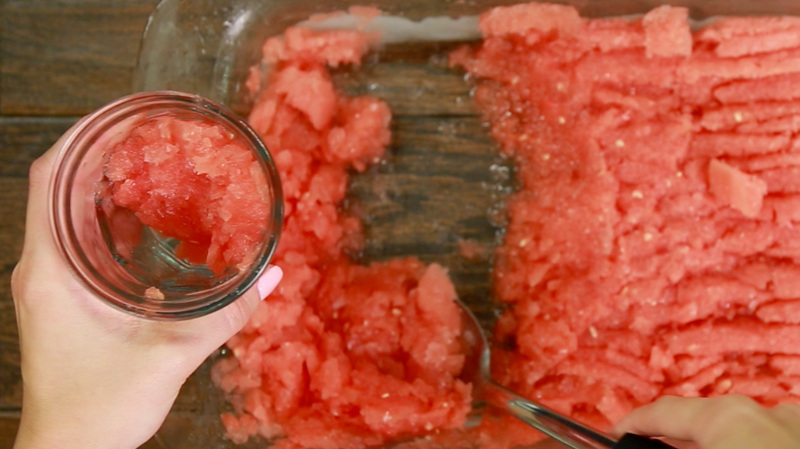 If the pan is not entirely frozen, stick it back in the freezer and pull it out an hour later, and repeat the scraping with the newly frozen watermelon mixture. Scoop into your glasses, garnish with fresh mint (optional) and enjoy!